Currently the Eastbound and Westbound traffic runs at the same but during this period the signals will be separated in to 2 phases due to the Westbound traffic being on the wrong side of the road. 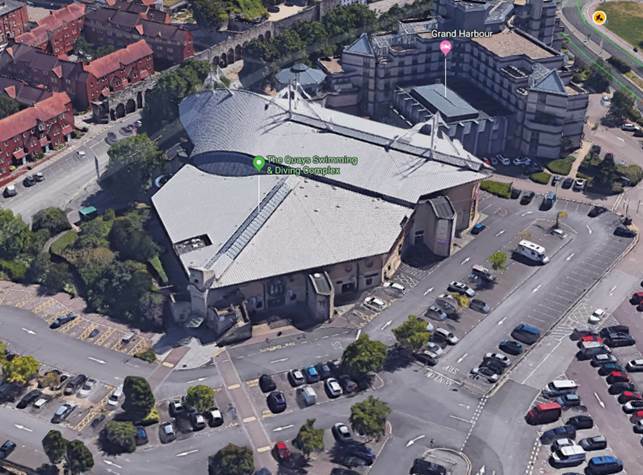 As part of our role to maintain Southampton City Council highways and structures we are carrying out a drone survey and scan of the roof of The Quays Swimming and Diving complex on 10 October and on 11 & 12 October subject to requirement. We wanted to make you aware in the event that you get reports of the drone flying in the area. The drone will only be looking down at the roof of The Quays. It will require to make several passes and closer inspections of specific aspects of the building’s roof structure. The people carrying out the inspections are trained and the pilot of the drone has the appropriate licence, permits and insurance to carry out the drone flight in this location.